“Eat a variety of foods.” Since the early 20th century, it’s been bedrock advice. The rationale: The more different kinds of foods you eat, the more likely you are to get all the nutrients you need. It’s still the official advice of the US Dietary Guidelines. Unfortunately, this advice is likely to lead to less healthy diets—and obesity. That’s the surprising conclusion of a scientific advisory from the American Heart Association, published in Circulation. 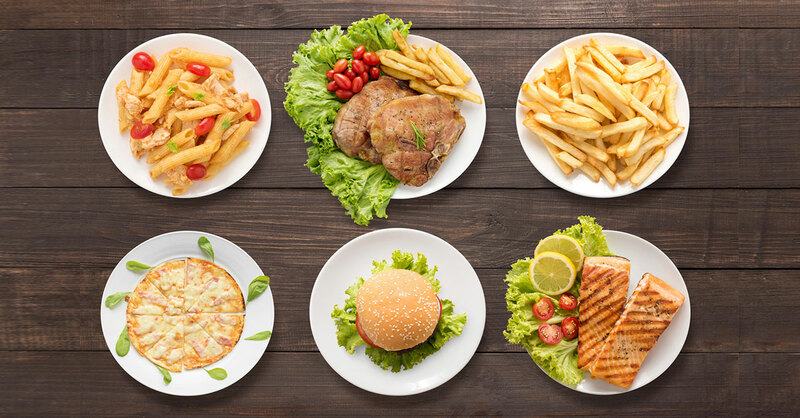 People who eat more “varied” diets tend to consume more white flour, sugar-sweetened soda, processed meats and salty snacks. Many, but not all, studies also find that the more varied the diet, the more obesity. One reason: Variety is the spice of…appetite. We may feel satisfied after eating a specific food, but a new food, flavor, even texture will fire our appetites right up again. Example: Adult subjects were offered sandwiches to eat and then, about 20 minutes later, given an opportunity to eat more sandwiches if they were still hungry. Sometimes the second sandwich had the same filling as the first, sometimes different. When it was the same, they ate less. So if you like the same healthful breakfast, lunch, even dinner every day, no worries! Indeed, limiting variety even may make it easier to keep calories—and weight—in check. Instead of going for variety, focus on eating the most nutritious foods. Is variety ever a good thing? It may be—but only for truly healthy foods. Other research has found that eating a colorful array of fruits and vegetables may help you get a wider array of vitamins and other protective phytochemicals. Plus, you’ll be using the variety-appetite effect to your advantage. This kind of variety may make it easier to eat more—of the right stuff.